I was not in the mood for grilled fish, chicken, or pork for that matter and kept walking toward the end of the street and then back to the beginning. 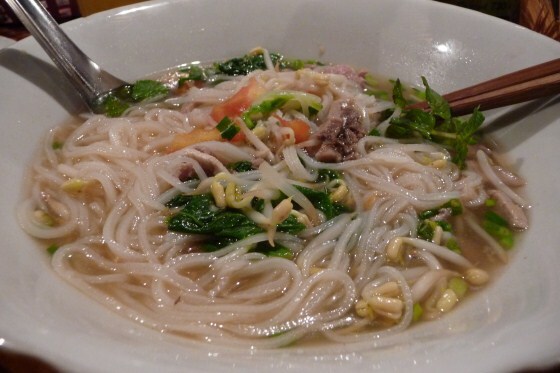 Then I walked back toward almost the end of the street and sat down at a Feu stall and ordered a small bowl of rice stick noodles soup for dinner. 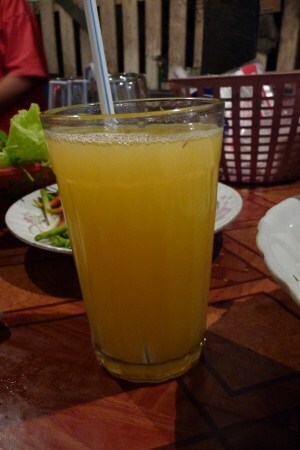 I then ordered a glass of fresh squeeze orange juice with no ice. 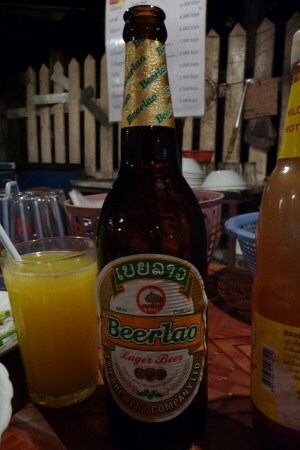 It went well with Feu but when a Farang tourist sitting next to me ordered a bottle of Beerlao I had to get one too. It was a big bottle and not a small one and was too much for one person but oh well, I just needed a glass to toast to myself after a long flight from Amsterdam. In less than 24 hours I was home at last and not at home away from home.